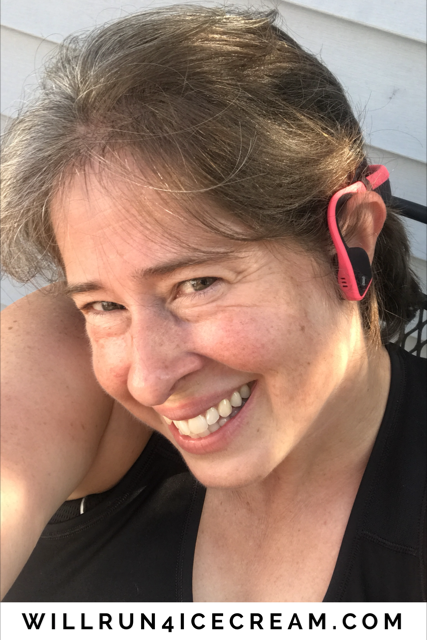 Disclaimer: As a SweatPink Ambassaor and my affiliation with FitApproach, I received a free pair of AfterShokz Trekz Titanium headphones in exchange for an honest review. My opinions are completely my own based on my experience. This post may contain affiliate links. I love running with music. I always have. And I admit that I was from time to time that person that you would see with both ears plugged with headphones.I felt that I could hear my surroundings, but I also had that gut feeling that it just wasn't the safest situation. I really couldn't hear. I've had cars come too close before I realized they were there. I've had cyclists or runners come up behind me and startle me. So I started running with only one ear plugged. But that meant that I either had a cord dangling or I had to tuck it into my bra, and I didn't like either option. Speaking of cords, have you ever been tangled in your headphone cords while working out? I have. It's so embarrassing. It usually happens at the gym, when it's super crowded, and there I stand snagged on the elliptical. I've even had issues while doing free weights with the cords getting tangled around either me or the weights. Like I said - super embarrassing. If anyone needs wireless headphones, it's me! 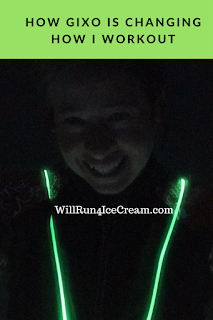 :) So I was super excited to try the AfterShokz Trekz Titanium. I have a small head, and I really think that I should have gone with the mini size. I was in-between on the chart and unsure. So, I went with the bigger size because I didn't want them too small. But I think I could have gone with the smaller size. If I put them too low they touch my neck, and they did tend to slip when I put them higher. I easily solved that problem by putting them on top of my ponytail. That seemed to do the trick and let me position them in the correct place. 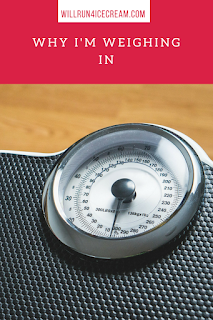 My suggestion is measure and make sure that you get the size that's best for you. Since these were my first bone conduction headphones, I didn't know what to expect. It was weird at first that I could hear other noises around me. Don't get me wrong. I could hear my music, but I could hear people next to me at the gym, dogs barking and traffic. Yep, I could hear my surroundings. I haven't been able to test them on a run yet (When Life Throws You A Curveball), but I've worn them at the gym. 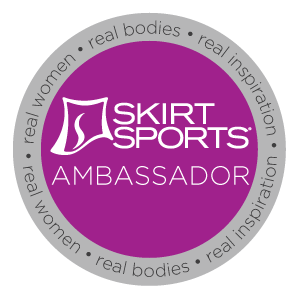 And I've worn them at home while working out and relaxing and blogging. My overall opinion is that I LOVE the Trekz Titanium! I highly give my stamp of approval - just remember to use the size chart when ordering. 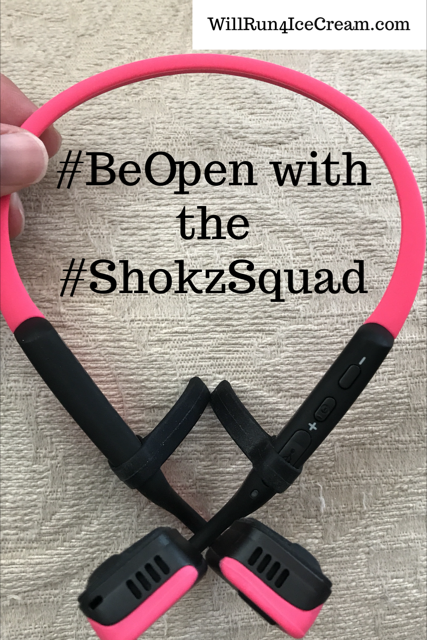 If you order through SweatPink, you can get a free AfterShokz water bottle with your Trekz Titanium purchase. You can find that link here. You can also enter through FitApproach to WIN a pair of Trekz Titanium headphones! Here is the giveaway link to enter. If you are someone who is still plugging your ears, I encourage you to #BeOpen and consider AfterShokz. I was amazed, and I think you will be also. 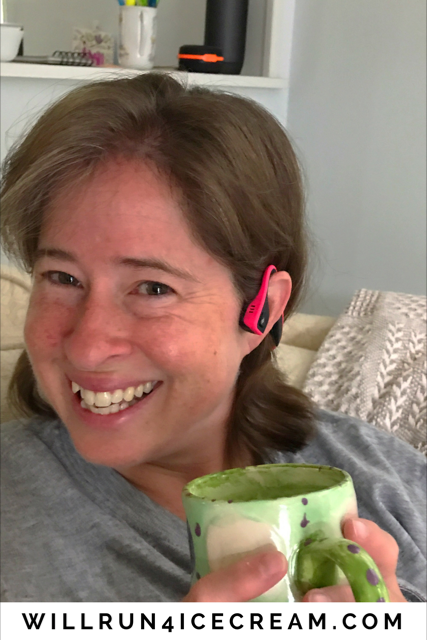 I'm so glad you're loving them, I am personally OBSESSED - they are the best for everything - running, taking calls, walking the dog, listening to podcasts / music, yoga....I could go on! These headphones are AWESOME! So glad you agree - I use them at home while I clean, write, and do yoga! They're perfect for almost everything I do!